Found 9 blog entries about Mountain Green. Friday, April 13th, 2018 at 8:58am. Beautifully located in the Morgan Valley community of The Cottonwoods, this sprawling rambler blends rustic mountain living with a hint of southwest flare. This setting, on the back of the Wasatch mountain range offers panoramic mountain views and plenty of fresh air. With Snowbasin Resort a short 15 minute drive away, and the outdoor mecca of Ogden just down Weber Canyon, it’s perfectly situated between mountain and metro. Friday, December 1st, 2017 at 5:19pm. 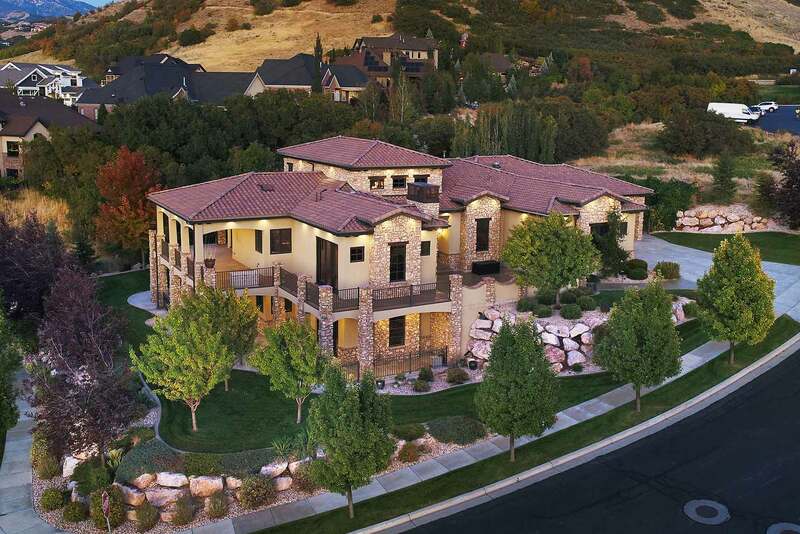 This well designed model of quality craftsmanship is tucked away in the shadows of the Wasatch Mountains. An ideal location for curious mountain explorers eager to head for the hills, this home sits right on the edge of the wilderness. The location lies just a short drive up to world-class skiing at Snowbasin Resort. Monday, August 7th, 2017 at 1:11pm. This lot has it all, from the option of a flat mountain drive way on Weber Drive to the creek rolling through the back yard. Build your custom home surrounded by stunning views of Thurston Peak and Snowbasin. Retaining and landscape rocks have been harvested for the construction of walls and xeriscaping. The required geological study is complete and lower grandfathered water impact fee makes this land even more appealing. A floor plan concept idea is available for consideration or create your own. Wednesday, October 5th, 2016 at 1:33pm. Own your own mountaintop escape high on the private hills of Morgan Valley in the prestigious gated community of The Ridges. Priced $410,000 below 2017 appraised value, this custom home is a one-of-a-kind masterpiece. The stately residence is adorned with luxury finishes throughout, including wood trim and doors, granite, distressed hickory flooring, wood windows, and 360 degree mountain views. The expansive kitchen, dining and family room features oversized windows overlooking the pristine property and Wasatch Mountains range. Thursday, June 25th, 2015 at 11:34am. This coveted Mountain Green lot provides an exclusive mountain vibe while remaining close to Highway 84 minutes from amenities in Riverdale City. 10 minutes from Snowbasin resort this lot is positioned well for the outdoor lover. Ready to build.